OSCA® was specially developed for real-time use in the cloud. This gives you access to all important information whenever and wherever you need it. The close cooperation of all partners on a common platform creates maximum transparency. The modular design and the networking of all components of OSCA® always allow the setup that makes the most sense for your needs and requirements. 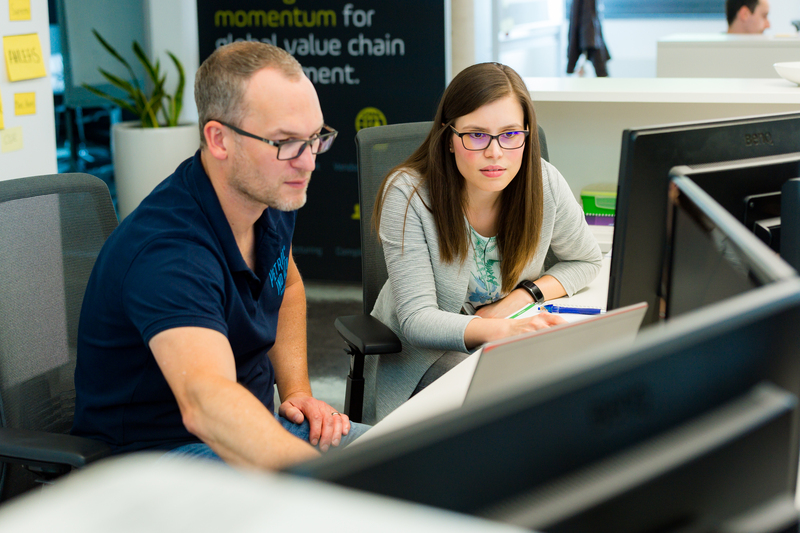 Intransparency, information silos, media breaks and different data structures continue to be the greatest challenges for all those involved in supply chain management. Integrated solutions transform the communication of email and Excel tables into a platform and thus a truth. With these options, the many necessary information during a procurement, production and delivery process can be brought together centrally, the processes made transparent, errors quickly recognized and corrections made. We were at the Hannover Messe 2019! You can read what’s going on one week after the fair in our new blog – a detailed recap will follow. “Yes, weather, weather!” Weather conditions penetrate into areas where we wouldn’t even suspect it. In addition to tiredness, general sensitivity to the weather, which beats the mind, or darkness in winter, smooth roads and traffic chaos have a considerable impact on supply chain management. Without it, nothing is possible any more, the world of logistics can no longer be imagined without it: The increasing awareness for quality assurance – or quality control – has long since established itself in the complex logistics processes, whereby quality is no longer only important to the end consumer. After we have already highlighed our first half of the year, the second can’t be missing! What has happened so far has been highlighted in “A whole half year”, but how will the story continue? A lot has happened and of course we don’t want to withhold that from you. Right from the start, the Setlog team has focused on analyzing and understanding our processes. Let us inform you about news about our products, everything about Setlog, our events and how we can support you and your supply chain in the future. Sign up today! Our core competence at Setlog is to deliver tailor-made software that meets the needs of our customers. We are the only provider to combine supply chain management with vendor compliance and thus offer you a complete solution for your value chain. The personal contact and the all-round support of our customers is important to us and the basis for our daily work. With Setlog you have an experienced procurement partner at your side. Because we know how the supply chain works!